Everyone and Everything at face value? What if we could truly believe that everything they say is really true? Things would be so much easier! We would always be confident that we were dealing with honest people who would never mislead or cheat us. But while there is no doubt that this would be ideal, it is not reality. When it suits their purposes, there are those that will lie. The lie can be anything from embellishing the things they have done to taking credit for something that is completely false. While we can usually get past these types of misrepresentations in our personal lives, when it comes to our business, it can be much more costly! Making poor choices because others have exaggerated or down right lied about themselves or their products and services can heavily impact our company’s success. Why You Need to “Trust but Verify” in Your Business! Tweet This! 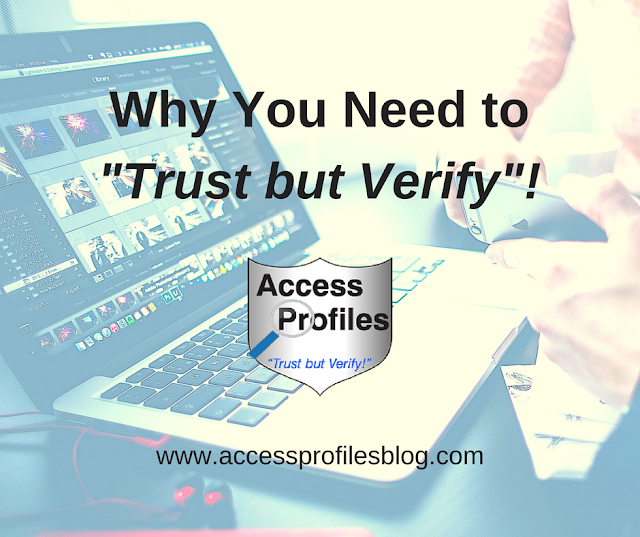 That is why at API we strongly advocate that everyone should “Trust but Verify”! Being sure that what we think about someone or something is true makes good business sense. It allows us to make decisions with our eyes wide open and with all the facts firmly in place. If we are deceived, it can end up costing us time, money, and even damaging our reputation. This can be even more problematic if you own a Small Businesses. Small Businesses need to be especially careful. Verifying what a candidate has listed on their application or resume is vital. Not only does it ensure they meet your job requirements, but it is also a first step in determining their honesty. It is truly a “trust but verify” situation. Resume lies come with a cost. Putting your trust in the wrong applicant, before having all the facts, is harmful to your business. There is a “high cost associated with hiring, training, and replacing employees that are later found to lack the skills or education necessary to do the job”, excerpt from “The High Cost of Resume Lies”. Opening yourself up to negligent hiring lawsuits because you didn’t screen properly should also be considered. If anyone ends up being harmed because you didn’t check for a violent or criminal past, you could be held liable. Your best defense is a good offense. verify before you hire is the key. To work to their full potential, background checks should be done on all new hires, whether full-time, part-time, seasonal, or even interns. After all, they each represent the “face” of your business. And it is important that your image is as good as possible. When you make a hire, especially a new hire, you will sometimes be tempted to do it quickly. It is most likely you need someone to handle increased workflow, help launch a new product, or even to help with seasonal sales. No matter the reason, hiring in haste, without doing the proper screening, is not the answer. Learn more about why not doing background checks on your new hires is a big mistake here! The same argument holds for doing background checks on your part-time or seasonal employees. This type of hire often has to hit the ground running, and it is vital that they truly possess the experience you need. A good background check will help you verify that. For the same reasons, screening your interns is just as important. While hiring interns is a great way of gaining their valuable talents on a short term basis, taking their stated skills at face value is a risk. Discover more in “Hiring an Intern? Don’t Skip the Background Check”! Background checks are the perfect tool to vet companies too. If you are considering these businesses as potential partners / collaborators, or may use their products or services, then you should check. While these businesses may appear to have a good reputation, and the company people you have had contact with seem above board, this is another instance where following the “trust but verify” rule makes sense. Simply trusting that they will bring value to your company or that their products or services will meet your needs is not good business. Performing this type of Due Diligence should include a criminal record check and a civil court record check. The criminal check will show if the company, a principle partner, or employee representing the company, has been convicted of a criminal offense. Incidents of fraud, embezzlement, or violent offenses should definitely be noted. A civil report will discover any litigation or bankruptcy case where the company is listed as a defendant or plaintiff. With this information you will know whether they have sued, or been sued, by other companies or individuals. While one or two such cases may not be cause for alarm, more than that should give you pause. Discover more about using Civil Court record checks as part of your background check tools here! Another tool for vetting companies is to conduct a search through the Better Business Bureau. Through the BBB you will be able to see if there have been complaints filed and, if so, how timely they were handled. 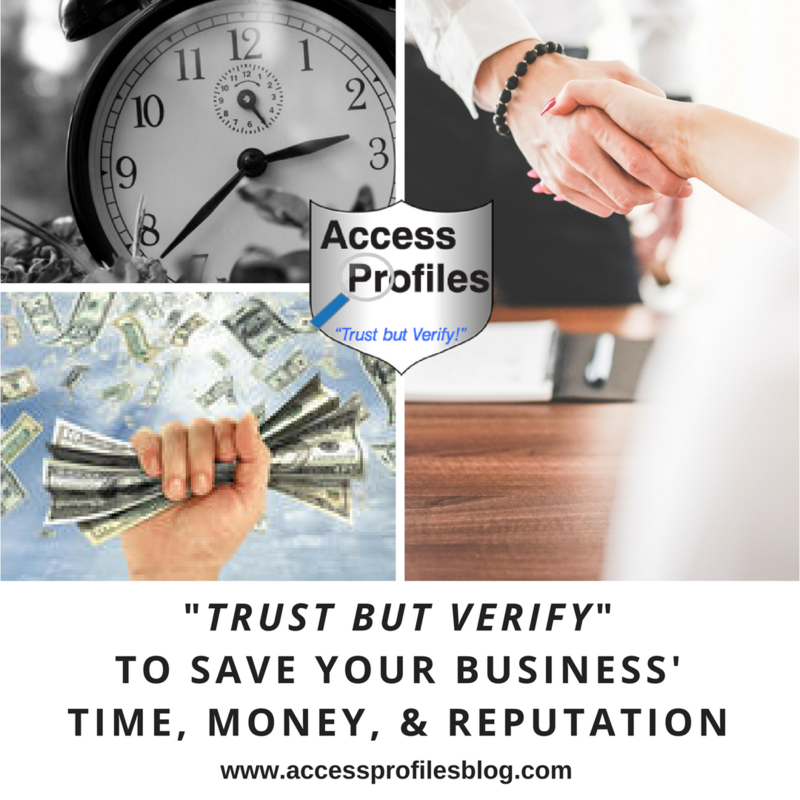 According the the BBB, their mission is to ensure “that high standards for trust are set and maintained” ~ exactly what “trust but verify” is all about! then it is time to consider outsourcing them to a good screening company. 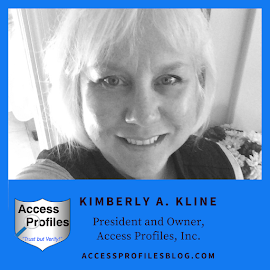 This will help ensure you are following all current screening laws and guidelines and get you the quality information you need. Outsourcing is also a great way to protect the sensitive information used during background checks and acts as a barrier against potential discrimination. You can find out more in “5 Smart Reasons to Outsource Your Background Checks”! help keep your company safe! API can help you with your screening needs and answer your background check questions! With honesty and integrity becoming a fading trait in a vast majority of the people, it is becoming harder to trust and verification has become a necessity. While I would hate to believe that honesty is deteriorating, it is definitely wise for employers to be cautious. 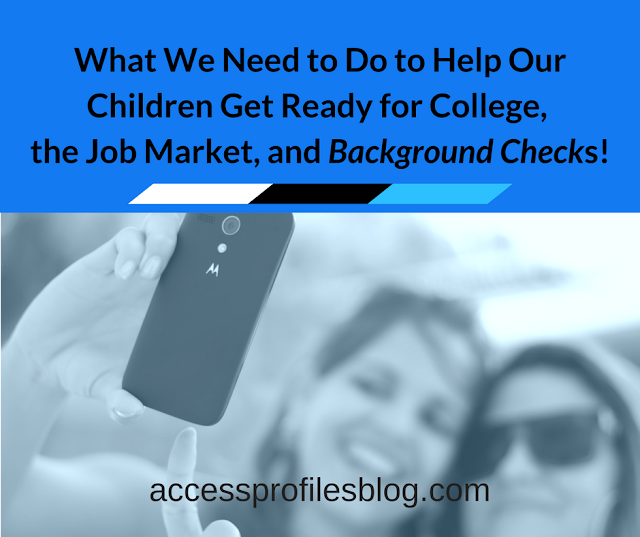 Taking the extra step and doing a background check simply makes sense! Thanks for weighing in and commenting!